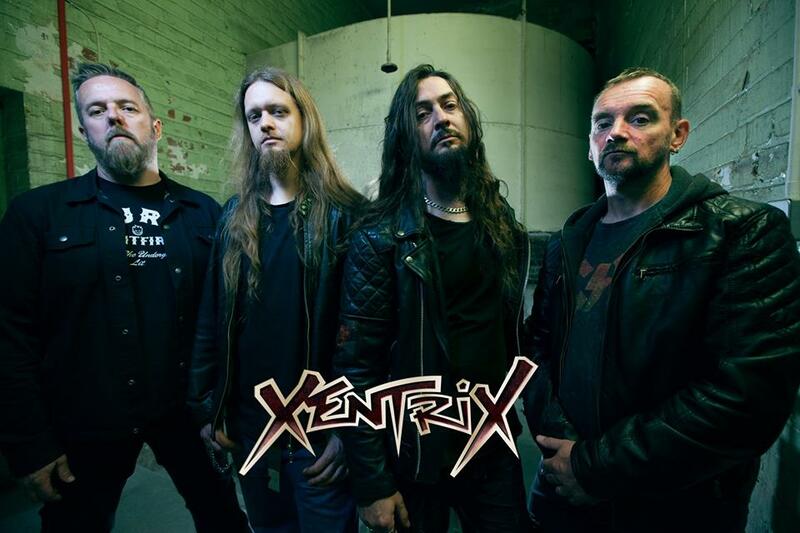 Home » News » UK Thrashers Xentrix Return With New Singer! It’s been a while since we posted any Xentrix news, and to be totally honest, this has been down to the fact that we weren’t sure if there would be anymore news or even anymore Xentrix. At the end of 2015, Chris Astley, our singer/guitarist had decided he didn’t want to be a part of Xentrix or any other band for that matter, and so once again he was out of the line up. This left us (the remaining three members) with the option to call it a day or try and find a replacement. We knew full well that the vocals are always the most difficult thing for any band to replace, but we wanted to carry on doing shows and making new metal music, so we set out on the arduous task of finding a new vocalist for the band. For the past 18 months we’ve been trying to find that right person and it has been incredibly frustrating how many times we thought we had found the new addition to our line up only to discover, for one reason or another, it wasn’t to be. We’d like to thank everyone that auditioned and demoed for us, we experienced some great voices and really cool people. But after a chance meeting at last years Bloodstock Festival we found the right man for the job and so Xentrix would like to welcome Mr. Jay Walsh (Bull Riff Stampede) as our new Singer/guitarist. Worship Metal: So, what do you think? Xentrix’s calling card was predominantly the Hetfield-esque vocals of Chris Astley. Will this version of Xentrix be up to par in comparison? Does it matter at all and is it just great to have these UK thrash legends back?